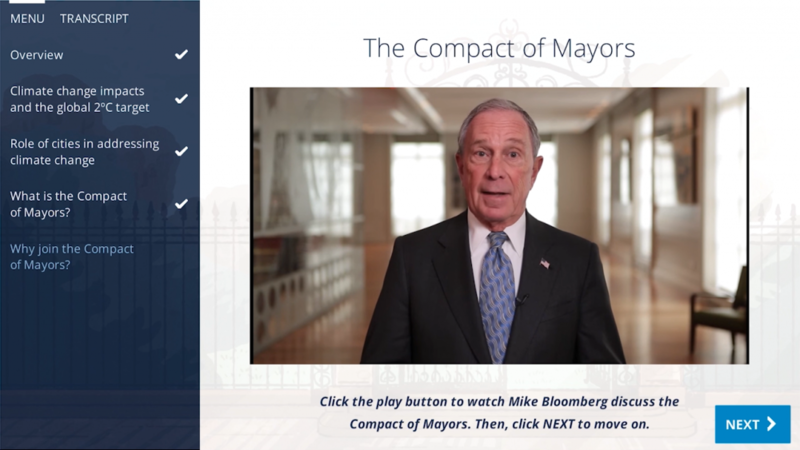 In partnership with the World Resources Institute, TechChange created a seven module online course for the Compact of Mayors, a global coalition of mayors and city leaders committed to sustainable local climate action. 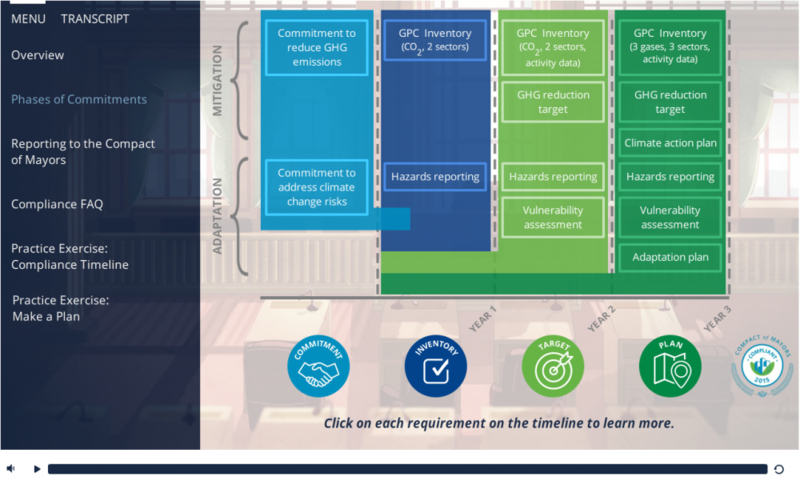 TechChange developed interactive exercises, infographics, maps, graphs, and resources for each of the seven modules. 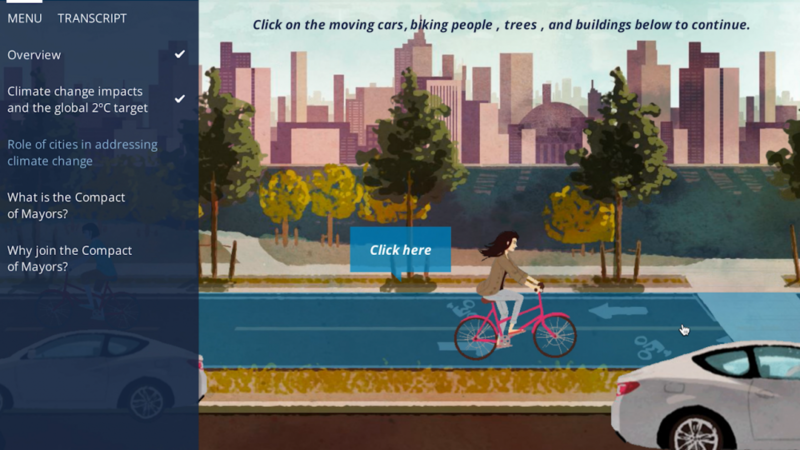 Coupled with custom avatars, backgrounds, and narration, these ten to thirty-minute modules walk the learner through what the Compact is, how a city can become Compact-compliant, and why a city would benefit from becoming Compact-compliant.